Each Module adds 50MM to the length of the PDCM. The USB Charging Module adds 75MM to the length of the PDCM. The Universal Laptop Charging Module adds 150MM to the length of the PDCM. The Telecom Module adds 150MM to the length of the PDCM. 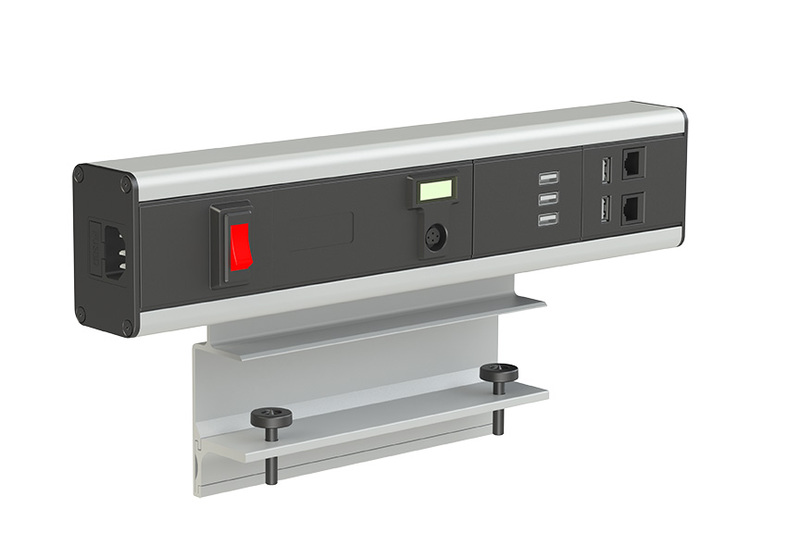 The PDCM system designed and manufactured by SpaceCo is 100% modular for above work surface power, data and communications distribution. 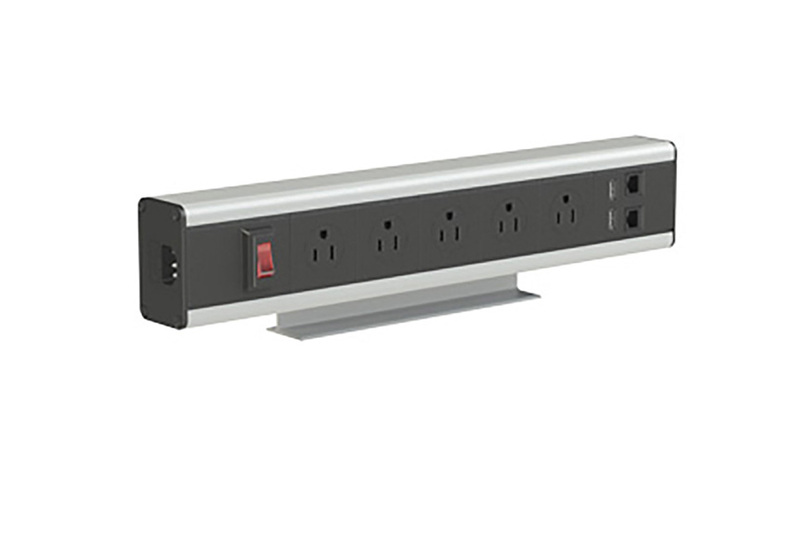 This plug-and-play solution is simple and easy to use. The specific power, data and communication needs of employees can now be accessed on the work surface. 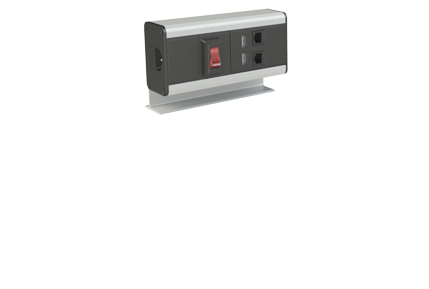 The PDCM is available in both standard and tailored configurations. PDCM by SpaceCo is a plug-and-play platform that is simple and easy to use. A customizable solution is now available within easy reach, access and view on the work surface, catering to the different power, data and communication needs of employees. No more strenuous bending or kneeling under the work surface to navigate multiple cords. 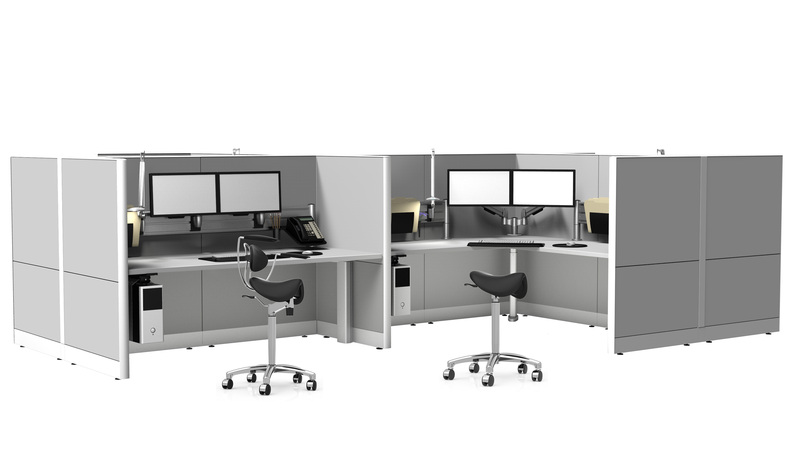 PDCM is available in a both standard and tailored configurations.